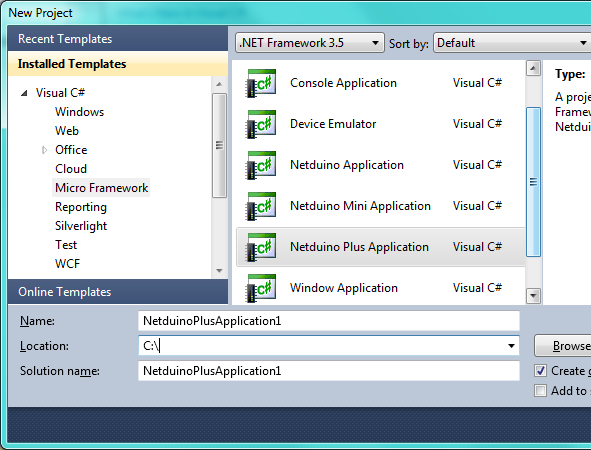 Using this software we will be writing our codes in VB.NET or C#.NET. 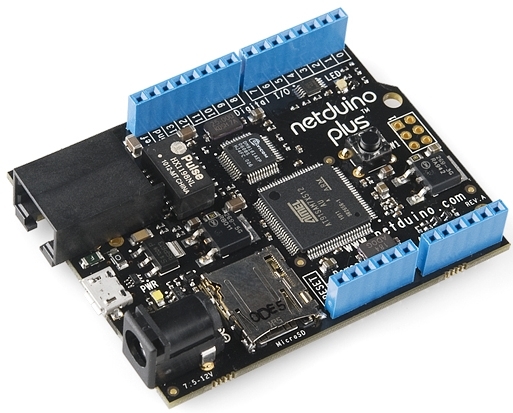 Without this, we will not be able to write code that Netduino (or any Micro Framework supported hardware) will understand. 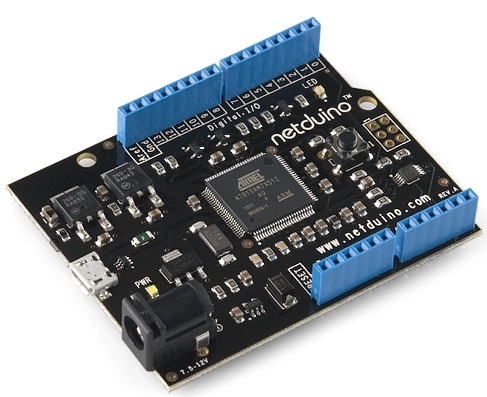 This SDK will enable us to write Netduino specific codes. This is our main microcontroller where we will deploy our code and it will perform as we have written. 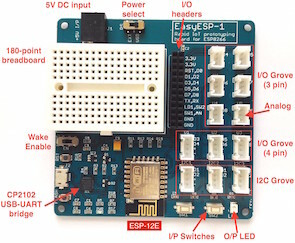 Basics electronics board and components. It’s hard to list but at the minimum we will need a computer (of course), breadboard, connecting wires, LEDs, resistors, etc. 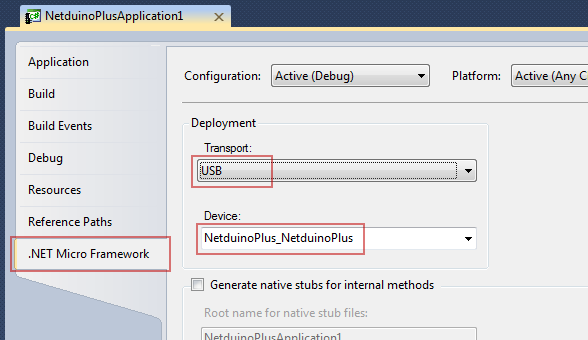 Once you have all these installed/accessed, plug your Netduino to your computer, and start your Visual Studio. When Visual Studio is started for the first time it may ask you a few things, such as the language (VB or C#) that you are comfortable with. This will create a new project and we are almost ready to write our code. 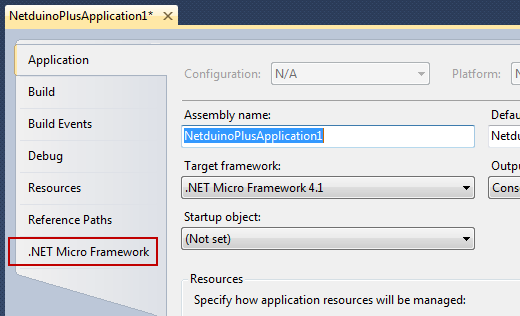 From the Solution Explorer (View > Solution Explorer), double click the Program.cs. Something like following will show up in the main window. Public static void Main() is the main entry point in our code. From here we will control how the code will proceed into a next step. Now we are ready to run (or Debug) our code!